This is a great recipe for those that enjoy cooking with young children. Use three simple ingredients, a plastic bowl, and a mixing spoon to make this summertime favorite. Children can dump and mix ingredients with very little difficulty. This is a recipe that my mother-in-law usually prepares as part of the Easter Brunch spread. 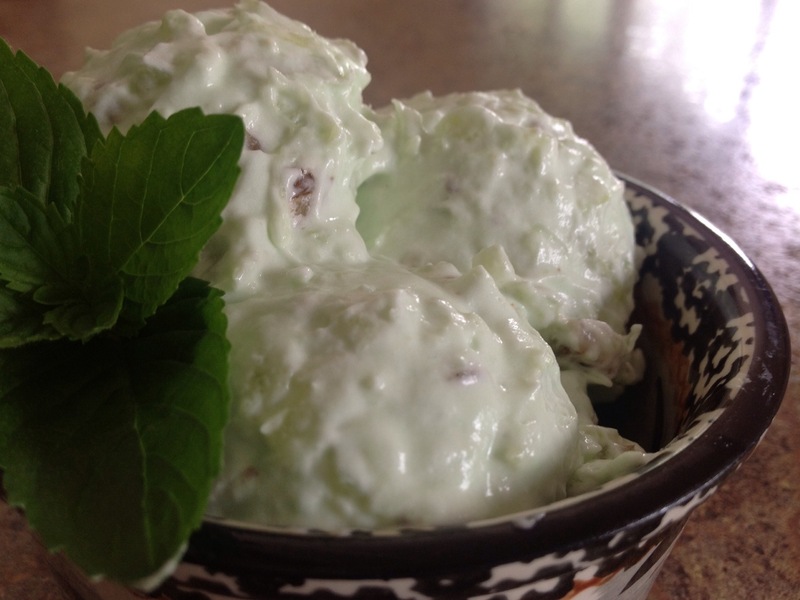 The mint green color of the pudding mix adds a refreshing flair to any spring or summer table. This flavorful dessert would be a great addition to a wedding or baby shower luncheon menu. For additional flavor and texture, try adding a 1/2 cup of finely chopped walnuts or some flaked coconut. In a mixing bowl, combine instant pudding mix and the container of Cool Whip topping; mix well. Next, add the entire can of crushed pineapple to the pudding mixture, thoroughly combine. Refrigerate for several hours and serve chilled. This is so old school! I love it! I remember my mom making this for a me when I was little and it was like dessert but she called it a “salad” so we got to eat it during dinner.